Our UTAR captain ball team made the university proud by winning the championship in the Captain Ball - Gospel Cup 2014 for the first time. The championship was held on 19 July 2014 at the REAL Sports Arena in Klang. Our UTAR team clinched the victory in the final with a 3-2 score. They received an overall champion trophy and 13 individual gold medals. 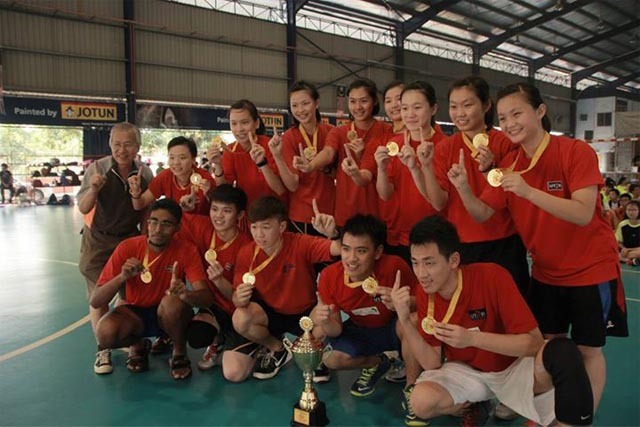 The winning UTAR team attributed their victory to regular practice, teamwork and support from the Department of Student Affairs, Sports and Recreation Unit Assistant Manager Adrin Yeap Wai Kuan. “It’s really amazing to see how UTAR students fall in love with this new sport, called captain ball. It all started when I first introduced this sport to UTAR students by organising the 1st UTAR Captain Ball League 2014. All participating students in the 1st UTAR Captain Ball League were taught how to play this sport and the rules and regulations of this sport,” said the proud coach, Yeap. He added, “Our students really enjoyed themselves throughout the whole competition while demonstrating good sportsmanship. They fought with full determination and never gave up till the final whistle was blown. I am very proud of them”. “I was introduced to this game about two months ago and after much training and guidance, I was given a chance to represent UTAR. It is an honour for me to play alongside my awesome teammates whom we always cheer and support before and during the tournament,” said Julius Joshua, a Biotechnology final year student. Both team mates; Foundation student Tham Yi Lin and Accounting student Wong Suk Yi beamed with joy and expressed pride in representing UTAR to win the first ever Captain Ball - Gospel Cup 2014 for the university. Tham added, “It was sweet victory for all of us as the battle was very tough. The other teams have good skills and were relatively more experienced.” Wong quipped that participating in the championship was a great new experience and strengthened ties between teammates. Jointly organised by Shah Alam Gospel Centre, Yi Sheng Resources Berhad and Life Soar Resources Berhad, the inaugural Captain Ball - Gospel Cup 2014 tournament attracted the participation of 38 teams from all over the country. The teams were segregated into three categories, namely, Under 15, Under 18 and Under 24. 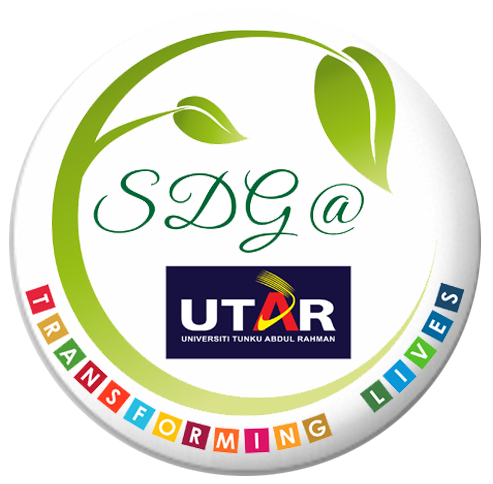 UTAR team participated in the category of Under 24.